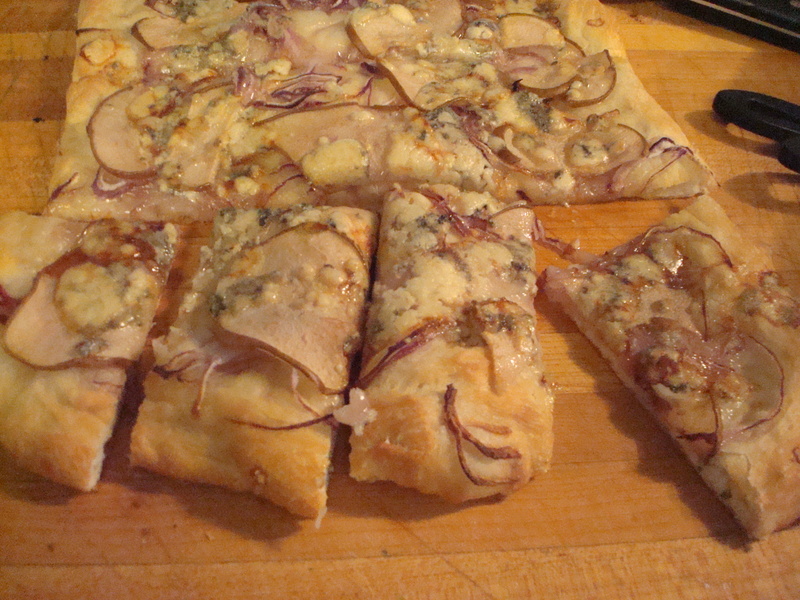 Of course, you have to like blue cheese to like this recipe and I know some people object to the stinky cheeses. So, if you are one of those folks who doesn’t like strong cheese you could easily substitute brie or maybe even fontina and it would be very tasty. In fact, I might do that next time. 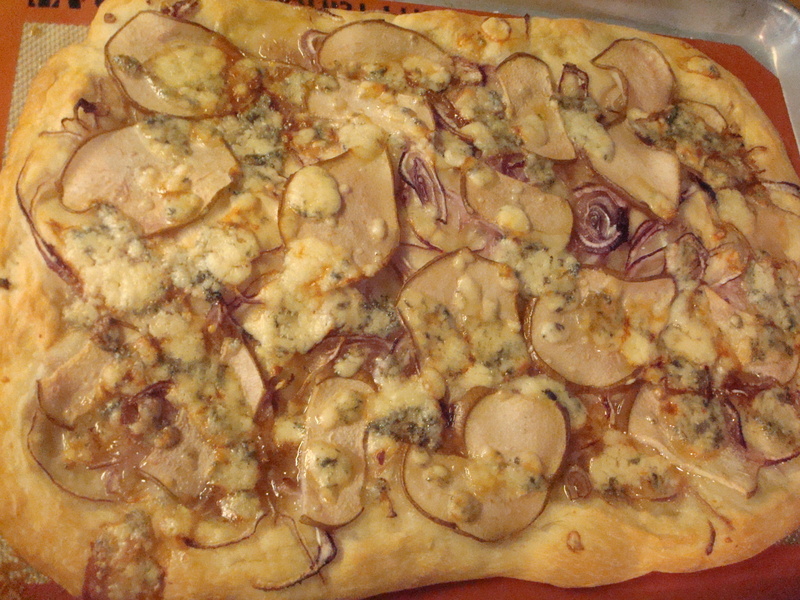 But, if you do that you will miss out on the specialness of the smell of melted bubbling blue cheese wafting as you take this out of the oven. You’ll also miss out on the deliciousness of smelling the blue cheese mingling with the onion under your nose right before you bite into it. I’m just sayin’. Best of all, slice the onion and the pear before work and serve it with a salad on the side and you’ve got a quick and delicious work night meal. 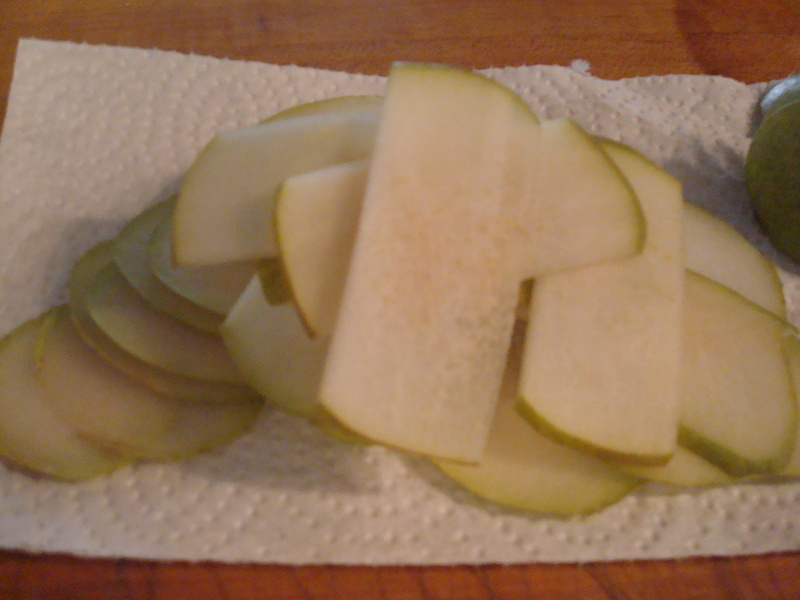 Or, you can make this and cut it into small squares for an easy hors d’ oeuvres. You can grab a bag of raw pizza dough in the dairy section of the grocery store and it will usually last a few days in the fridge. Knead the dough on the counter a few times and then carefully spread it out on a half sheet pan covered with a silpat silicone baking mat . 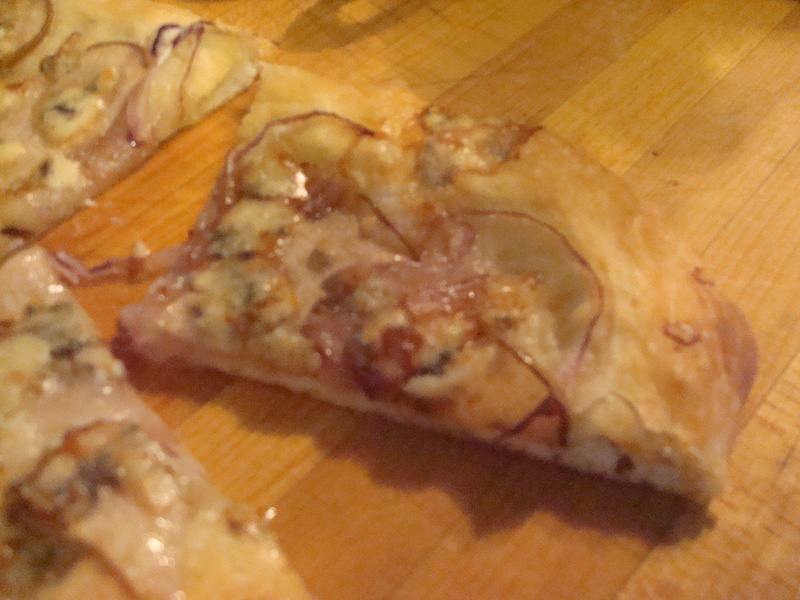 Pour the olive oil over the dough and spread it in using either your fingers or a pastry brush. Then sprinkle with the salt. 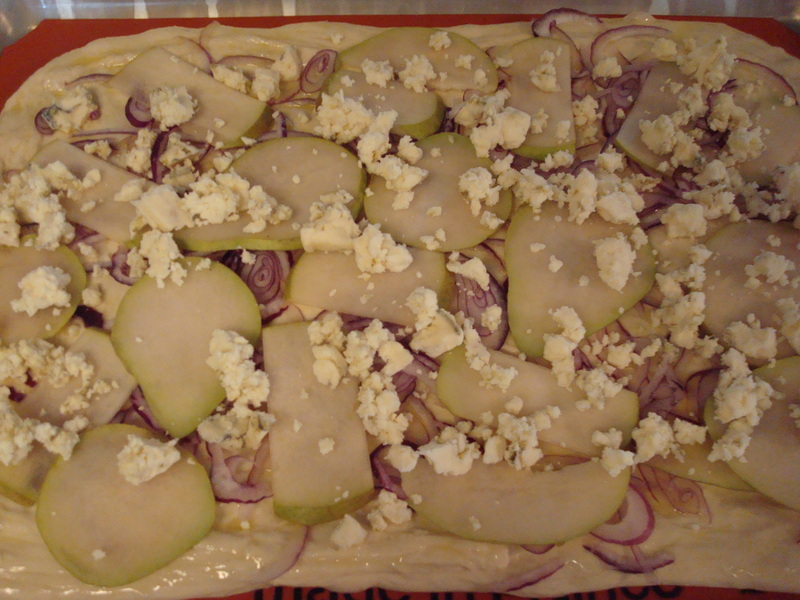 Layer the onion, the pear, and the cheese onto the dough. 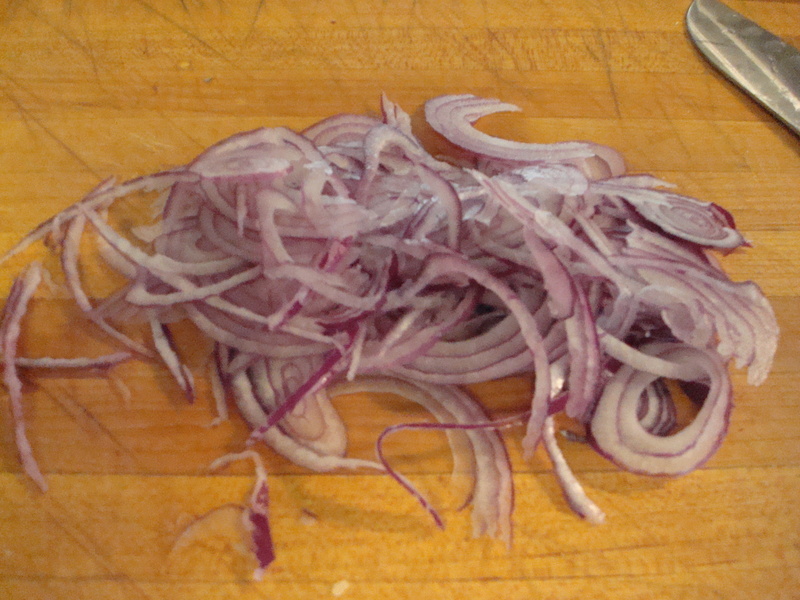 Remove to a cutting board and cut and serve hot. I’m a stinky cheese lover and not afraid to admit it (proud even). This looks delicious!